Shoot... I couldn't even draw your attention away long enough Saturday to slide some away along the table when you stopped by to say hi! Good to see you again! You really do have some talent there! You were the one too busy for me.... I wanted to hang around, But you told me you were busy with work. I took the hint and left you alone. You're always welcome to visit and stay as long as you like no matter was blather is coming out of my mouth! Yeah... never go by what I say when I'm sleep deprived (which is much of the time). Sometimes I'm just repeating the things everyone else is saying just to say something... bad habit I need to break. The best part of being at the shows during cabin fever season is talking to other anglers. I'm well aware of the concept of 'free' as websites are 'free' right? Maybe unless you run software the cheap hosts won't let you run and you need to BUY something with a lot more horsepower than share hosting... Leasing a web server that runs everything isn't cheap... but we all have to have something to do with our time. Color-C-Lector â€¦. I remember those since I had one too... LOL... It suggested two different colors at the same time. One on the left side of the boat, and one on the right... LOL... I lost confidence in it right away. I sold it or gave it away for free to someone. I must have been 15-16yrs old. My lake was back to 77 degrees yesterday. Going to be a while before you break them things out. I wonder if that is the same 'fish call' we bought when I was still a young Irish lad in the early 70's?? This has to be around 1970-72... I remember we dropped it down a hole one day while ice fishing somewhere in the Flint to Pontiac area. All the 'adult' men-folk were talking or something a few feet away but I was watching that hole! Something was bound to happen!! Suddenly, the BIGGEST BASS I'd ever seen swam right through my view down that hole!! I practically swallowed my tongue and tripped over my own feet trying to shout to the 'adults' to, "come quick!! Giant fish in the hole!!! HUGE!!!" Who needs adults!?! I pulled up that fish call and commenced to FISHING!! I was going to catch that Giant Fish. I hardly even thought about how if I caught the Giant Fish that would show them!!! No... I just WANTED to catch that fish!! Wonder what ever happened to that fish call... I think it got tossed on a back shelf because "it doesn't work." Though, I know one person (me) who's always wondered... maybe it DOES work!?! What are you after with those?? Sturgeon?!? 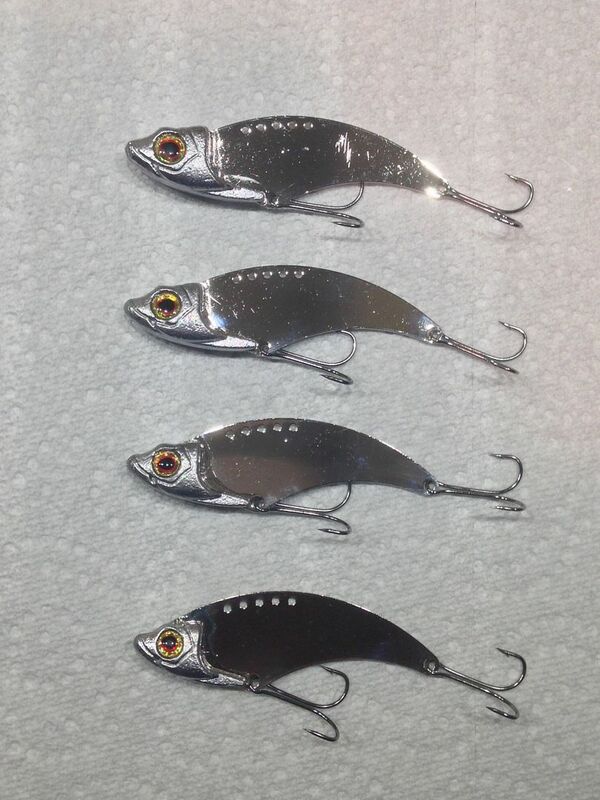 I'm curious what kind of action those fancy minnow head blades have verses the more traditional type head you showed in the 1st set of pictures? The larger body has a thump instead of quick vibe. 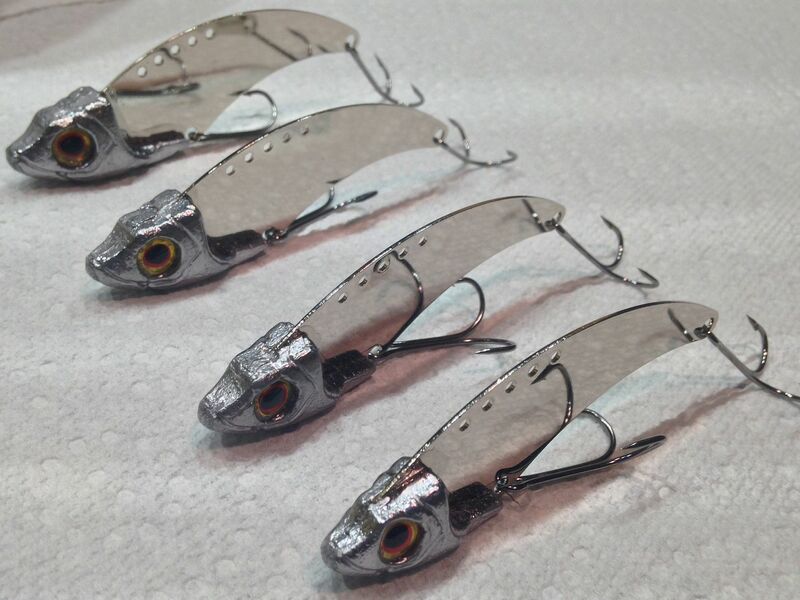 These heads allow the bait to stand up on the bottom at times. They swim much more realistic as well. That does sound intriguing. 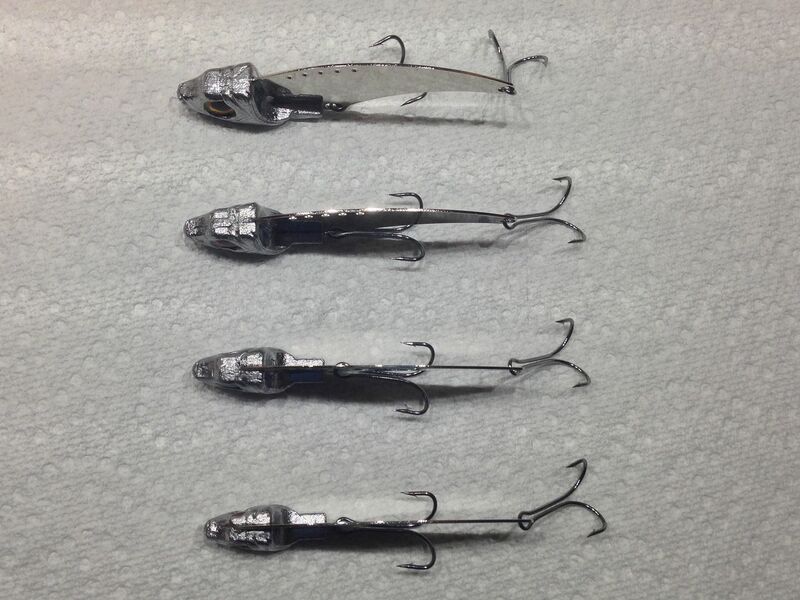 Could maybe even use them as a lipless crank (no rattle, but sometimes that's good?). 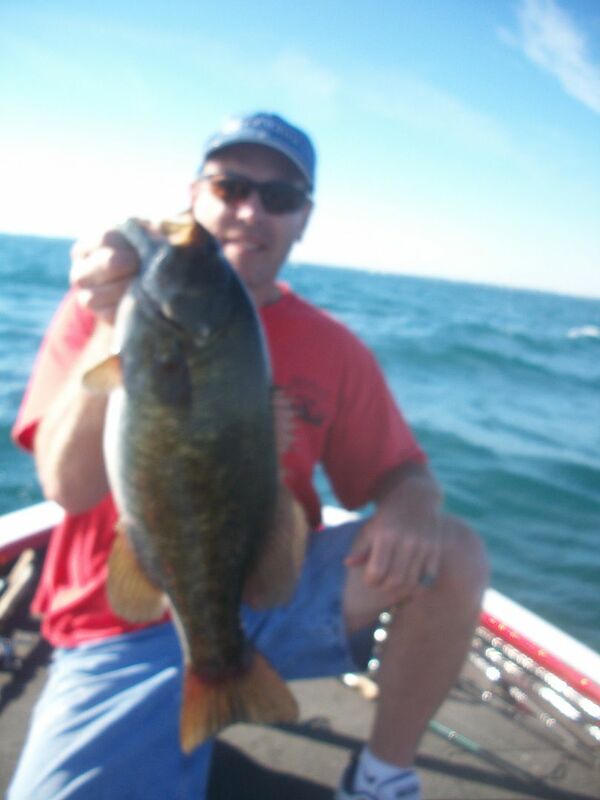 I've tried that a few times with small blade baits in the past with unexciting results. The bigger ones like I make have more flash, move more water/vibration, and actually jingle/rattle very loud from the bigger hooks and bigger body. Almost like a bell.